Is I'm-Yunity® right for my Dog? We all want the best care for our pets. In almost every case, I’m-Yunity ® will prove to be a supplement that will help your dog on many levels. 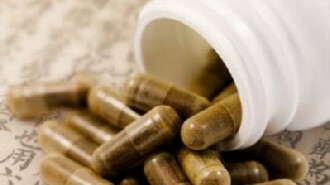 It is developed from a Traditional Chinese Medicine herb and their principles of health maintenance disease prevention. It is important to confirm with your vet regarding other medications your dog might be on, especially those that interfere with the immune system, as I’m-Yunity ® is formulated to support a healthy immune system. How safe is I'm-Yunity® for dogs? It has been shown through extensive studies and research, spanning back over twenty years, that I’m-Yunity ® is generally safe in dogs and humans. As with any medications or supplements, it is recommended that you discuss any questions you might have with your Veterinarian. There have been no reported side effects from I’m-Yunity ®. As you want to provide the best for your loved pet, we do recommend that you speak with your vet to confirm that your dog isn’t on any medications that suppress the immune system or that your dog does not have an autoimmune disease as I’m-Yunity ® is a product to support and help maintain a healthy immune system. If your dog has a mushroom allergy, then this product might not be right for your dog. How will my dog feel after taking I'm-Yunity®? Can I'm-Yunity® be used in conjunction with other treatment options? I’m-Yunity ® can be used in conjunction with other treatments. You should discuss all options with your Vet and discuss adding I’m-Yunity ® as part of your dog’s regimen. Attached are testimonials from current customers regarding their experiences with I’m-Yunity ®. Some dog owners opt not to use aggressive treatment when their dog has cancer because of side effects. While I'm-Yunity® is NOT an alternative to chemotherapy or a cure for cancer, it may be benefit in your dog's quality of life and immune maintenance. This should be discussed with your vet. How long you keep you dog on an I’m-Yunity® regimen treatment is really up to you and the results and benefits you obtain. I’m-Yunity® is formulated to maintain your dog’s optimum immune health, so as a preventative measure, it can be used for the balance of your dog’s life, There is no reason to stop using I’m-Yunity® as there been no reported, adverse side effects. 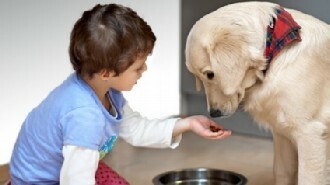 Our pets, especially dogs, are an integral and important part of our families. As with any illness, it's always recommended that you speak with your Veterinarian. Additionally you should consult with your Vet if your dog is on any medications that is supposed to suppress the immune function or has an autoimmune disease, as I’m-Yunity ® is formulated to support a healthy immune function. Fill out the vet referral form, which will provide you a 5% discount on your order if completed by your Vet. Purified Coriolus Versicolor Mushroom Extract. Please refer to What is I'm-Yunity® and Medicinal Mushrooms on their differences in benefits. I'm-Yunity® has been extensively researched and published in the USA and Asia since 2000 for both humans and animals, and these research has also provided support for public domain. You can just add I'm-Yunity® to your pet's current diet either in capsule form or just the powder. Made in the USA in adherence to USP c-GMP guidelines. I'm-Yunity® is tested to comply with US FDA heavy metal, pesticide and microbial safety standards. Our ingredients are not purchased from third parties wholesalers. They are exclusively cultivated and processed at cGMP facilities to insure quality. 100 mg per 1kg of body weight based on dogs clinical study. For immune health maintenance, a minimum of 1-2 caps per day is suggested. For immune maintenance and preventive care, it only requires 1-2 caps per day.